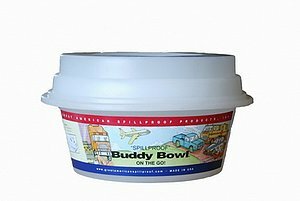 The Authentic "Buddy Bowl" (44oz) is a spill-proof and splash-proof pet water bowl the REALLY works. 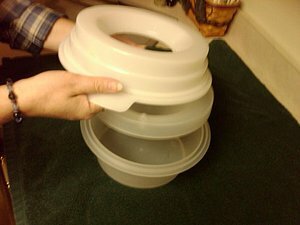 The perfect size for many dogs and cats. Non-Toxic/BPA FREE. For TRAVEL and HOME. 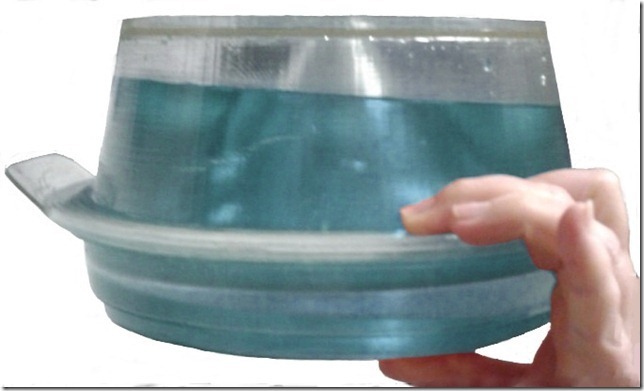 Holds plenty of fresh, clean water, EVEN UPSIDE DOWN! Water always available for your pet's convenience. No waste. No mess. Less evaporation. 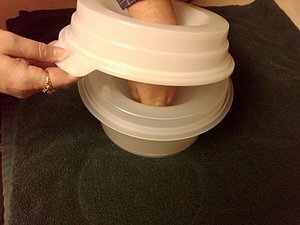 Helps with child proofing and safety. Deters insect and birds. Dogs like it because water does not go up their nose! (Used by Police K-9s, Hunting, and Show Dogs. 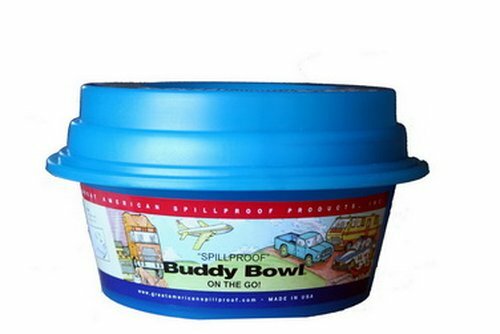 Announcing the new 64 ounce Buddy Bowl, newly released and available now in the Natural color. Just click the photo below to orders yours today! 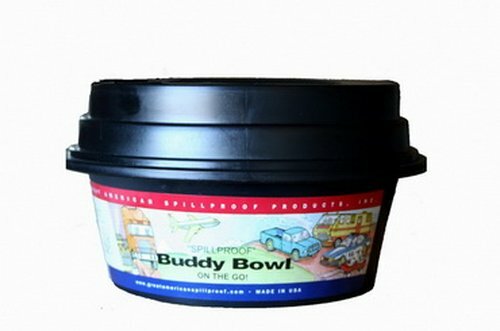 More than just the perfect travel bowl. PROTECTS SMALL CHILDREN: The "Buddy Bowl" also acts as a child-proofing aid. 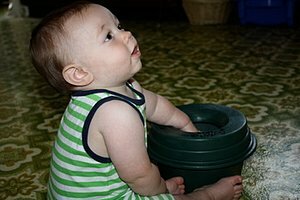 They may still be able to splash around a little bit, as small hands do, but you do not have a swamp in your house. Also prevents accidential drownings as they cannot go face first down in the water. 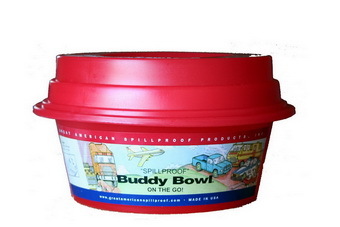 We are the only legal mfg of the "Buddy Bowl", beware of poor imitations. Click above to see our YouTube demo. Cick here to order now! 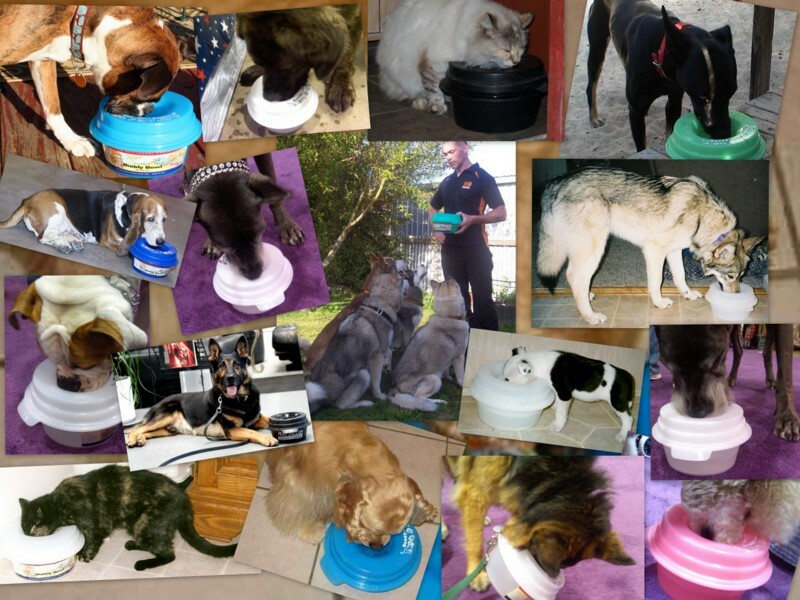 Heat and activity of your pet will vary your pet's need for water. 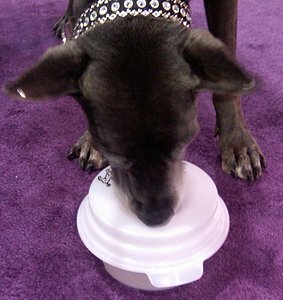 Many small drinks throughout the day are the best for your pet instead of large gulps a couple of times a day. 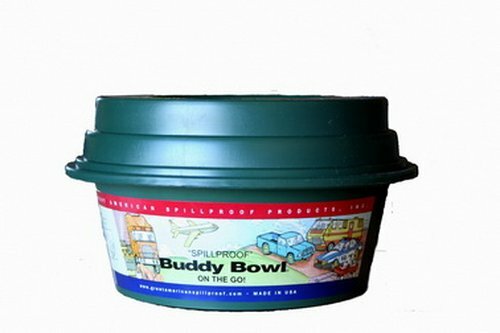 -Take the Buddy Bowl with your pet at all times to prevent needless dehydration in warm or cold weather.